Pet food labels are legal documents regulated primarily by the Association of American Feed Control Officials (AAFCO). They are under the jurisdiction of the Food and Drug Administration (FDA) in the United States. Regulations that apply to pet food labeling and testing of foods for nutritional adequacy are published in the AAFCO manual. Complete- a nutritionally adequate feed for animals other than man; by a specific formula it is compounded to be fed as a sole ration and is capable of maintaining life and/or promoting production without any additional substance being consumed except water. 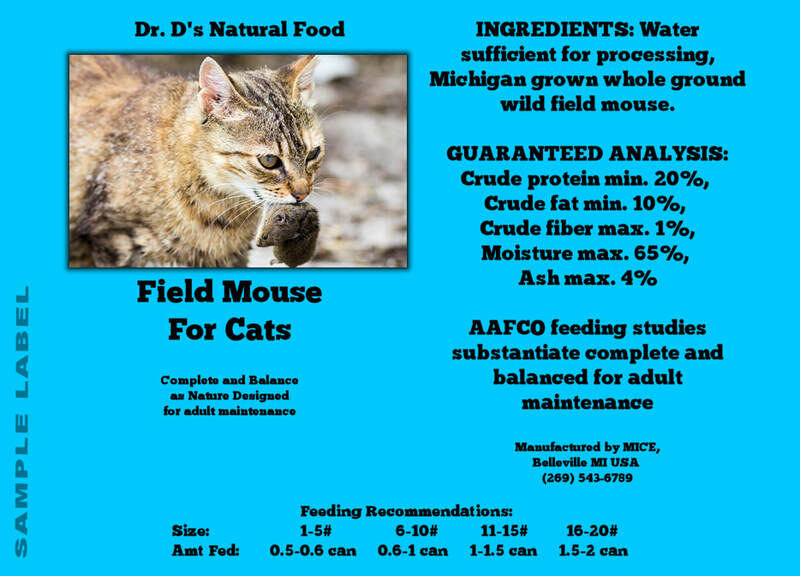 Balanced- a term that may be applied to a diet, ration, or feed having all the required nutrients in proper amount and proportion based upon recommendations of recognized authorities in the field of animal nutrition, such as the NRC, for a given set of physiological requirements. The species for which for which it is intended and the functions such as maintenance or maintenance plus reproduction shall be specified. ​Current regulations require that all labels for all pet foods manufactured and sold in the United States contain the following items: product name; net weight; name and address of the manufacturer; guaranteed analysis for crude protein, crude fat, crude fiber and moisture; list of ingredients in descending order of predominance by weight; the terms “dog food” or “cat food”; and a statement of nutritional adequacy or purpose of the product. A statement must also be included that indicates the method used to substantiate the nutritional adequacy claim. This can either through the AAFCO feeding trials or by formulating the feed to meet AAFCO Nutrient Profiles. ​An expiration date indicating the time span from the date of production to the date of expiration of the product is optional as is a “best if used by” date. This is the primary means of attracting the consumer’s attention to a product and should immediately communicate the product identity. The information panel is defined as “that part of the label immediately contiguous and to the right of the PDP” and usually contains information about the product. The product identity is the primary means of identification of pet foods by consumers. In the United States, the product identity must legally include a product name, but may also include a manufacturer’s name, a brand name or both. The brand name is the name by which the pet food products of a given company are identified. The PDP must identify the species for which the food is intended, such as “dog food” or “cat food”. This is called the “designator” or “statement of intent”. The net weight indicates the amount of food in the specific container, often given in pounds or grams or both. This is found on the PDP and must be placed within the bottom 30% of panel. A product vignette refers to any vignette, graphic or pictorial representation of a product on a pet food label. The product vignettes should not misrepresent the contents of the package by looking better than the actual product or ingredients. Nutrition statements on the PDP include the terms “complete and nutritious”, “100% nutritious”, “100% complete nutrition” or similar designations. These claims must be substantiated by a nutritional adequacy statement on the information panel. ​Bursts and flags are areas of the PDP that are designated to highlight information or provide specific information with visual impact. “New” or “new and improved” can only appear on the label for six months, while comparisons such as “preferred 5 to 1 over the leading national brand” can appear on the label for 1 year, unless it is re-substantiated. The list of ingredients must be arranged in decreasing order by predominance by weight. The terms used to describe the products must be those assigned for that product by the AAFCO, or names that are commonly accepted as a standard in the feed industry. No single ingredient can be given undue emphasis or can be designators of quality be included. Most grocery store and generic brands are formulated as “variable formula diets”. This means that the ingredients used in the food will vary from batch to batch, depending on market availability and pricing. In contrast, most premium foods sold in pet stores and through veterinarians are produced using fixed formulas. 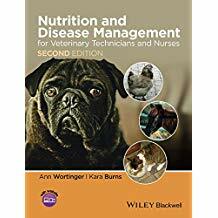 Although the cost for a fixed formula food may be more than a variable formula diet, the consistency between batches of food is a distinct advantage to the dog or cat consuming the food. The ingredient list also gives no indicator of the quality of the ingredients used in the food. These ingredients can vary in digestibility, amino acid content and availability, mineral availability and the amount of indigestible materials they contain. Unfortunately, there is no way to determine quality from the ingredient list. In fact, some premium foods with very high-quality ingredients may have an ingredient list that is almost identical to a generic food that contains poor-quality ingredients with low digestibility and poor nutrient availability. Another practice is the splitting of ingredients to place them lower on the ingredient list. This occurs when several forms of the same product are listed separately (e.g. wheat germ meal, wheat middlings, wheat bran, wheat flour). Because the requirement is to list by weight, by splitting the ingredients, they each weigh less and can be placed further down the ingredient list when in fact they compromise a major portion of the product. Dry ingredients also appear lower on the list that those that are naturally higher in moisture. This allows most “meat” products to appear higher on the ingredient list than the dry grains and starches which may actually be found in a higher percentage in the diet. Pet food additives such as vitamins, minerals, antioxidant preservatives, antimicrobial preservative, humectants, coloring agents, flavors, palatability enhancers and emulsifying agents that are listed by the manufacturer must also be included on the ingredient list. In the United States, pet food manufacturers are required to include minimum percentages for crude protein and crude fat, and maximum percentages for crude fiber and moisture. These percentages generally indicate the “worst case” levels for these nutrients in the food and may not accurately reflect the exact or typical amounts included. Also notice that these indicate only minimums or maximums found in the foods. Actual values may differ dramatically. ​Crude protein is the estimate of the total protein in food that is obtained by multiplying analyzed levels of nitrogen by a constant. Crude protein is an index of protein quantity, but does not give an indication of amino acid content or protein quality or digestibility. Crude fat is an estimate of the lipid content of food that is obtained through the extraction of the food with ether. This procedure also isolates certain organic acids, oils, pigments, alcohols, and fat-soluble vitamins. But it may not be able to isolate some complex lipids such as the phospholipids. Crude fiber represents the organic residue that remains after the plant material has been treated with dilute acid and alkali solvents and after mineral components have been extracted. Although crude fiber is used to report the fiber content of commercial foods, it usually underestimates the true level of fiber found in the food. The amount of water found in an individual product can significantly affect the values of the other nutrients listed on the guaranteed analysis because most pet foods display nutrients on as “as-fed” basis, rather than on a “dry-matter” basis. As fed means that the percentages of nutrients were calculated directly, without accounting for the proportion of water in a product. It is important to convert these guarantees to dry-matter basis when comparing foods of differing moisture contents, such as canned versus dry foods. Most dry foods contain 6-10% water, while canned foods can contain up to 78% water. It is also possible to use metabolizable energy when comparing different foods; this will give you the percentage of each nutrient in the food on an as fed basis, taking into account the different caloric amounts of each nutrient in the food. ​Complete and balanced for all life stages- the food has been formulated to provide complete and balanced nutrition for gestation, lactation, growth and maintenance. Limited claim- the food provides a complete and balanced nutrition for a particular life stage such as adult maintenance. ​The foods must also indicate what method was used to establish the nutritional adequacy claims. The use of feeding trials is the most thorough and reliable method of evaluation. 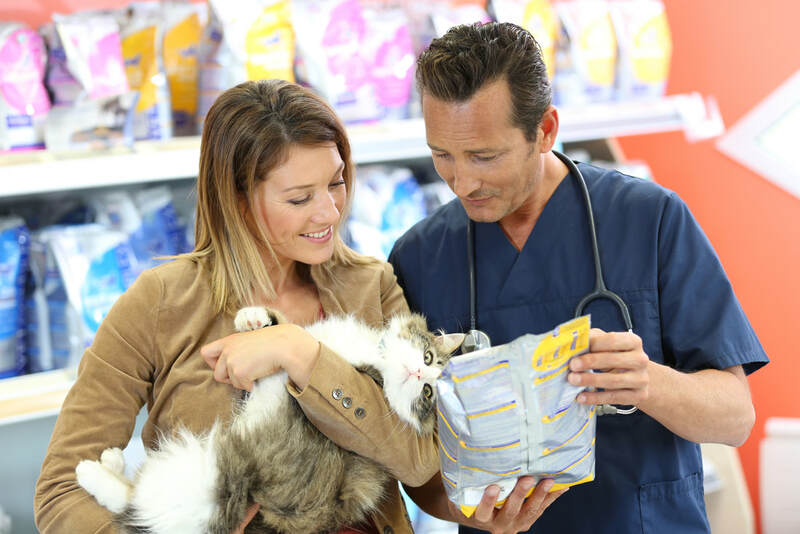 The terms “feeding tests”, “AAFCO feeding test protocols” or “AAFCO feeding studies” all validate that the product has undergone feeding tests with dogs or cats. If the substantiation claim states only that the food has met the AAFCO’s Nutrient Profiles, this indicates that feeding trials were not done on the food. The nutrient levels can be calculated in a laboratory after production or the diet can merely be formulated using a standard table of ingredients. Neither of these methods takes into account digestibility or availability of individual nutrients or loss of nutrients through processing or excesses found in the ingredients. Feeding guidelines are required on all foods labeled as completed and balanced for any life stage. These directions must be given in common terms and must appear prominently on the label. At a minimum, these should state “feed (weight/unit of product) per (weight unit) or dog or cat” with a stated frequency. The guidelines are general at best. Because of individual variations, specific animals may require more or less food than recommended on the label to maintain optimal body condition and health. A statement of caloric content may be included in the information panel, but is not required. It must be separate from the guaranteed analysis and appear under the heading of “caloric content”. The statement is usually based on kilocalories of metabolizable energy (ME) on an as fed basis and must be expressed as kilocalories per kilograms of product. It may also be given as kilocalories per familiar household measure such as kcal/cup or kcal/can. In the United States, the name and address of the manufacturer, distributor or dealer of the pet food must be found on the label, usually on the information panel. This information is not required to be complete, and may only include the distributor and city of origin. Most premium foods include their name, mailing address, phone number with hours of operations and possibly a web-site address. ​Although not a legal requirement, most manufacturers include the Universal Product Code (UPC) or bar code on the label. Other information, such as batch numbers and date of manufacture can also frequently be found on the labels. There may also be a freshness date included on the label.